Ultima Is Going Free-To-Play. And It Just Might Work. The last new Ultima game to see daylight was Lord of Ultima, a browser strategy game more or less totally unrelated to the venerable Ultima series that so many PC gamers have loved for thirty years. Fans were disappointed, hoping instead for an actual new Ultima adventure that would take advantage of modern technology to revisit the world and themes of the classic series. Now, there's good news at last for all the fans who wanted more Ultima, as well as for players who missed the series the first time around: Ultima is back, with an all new game called Ultima Forever: Quest for the Avatar. It's a free-to-play game for iPad and PC, but the goal is for it to be a BioWare-level story making full use of the Ultima world. The crazy part is, it might just work. Going into hot air balloons and flying over mountain ranges, getting into galleons [and] sailing across the oceans, surviving the great big storms, getting back to sea monsters, going to Stygian Abyss, and then competing to collect the actual Virtues, the eight Virtues that make you a good person, which is why Ultima IV is neat. [We'll be] doing that by giving you quandaries, actual conversations that you have to solve. Which are things like... you find some money. You've got the merchant who lost the money, and you can give it back to him which is the Just thing to do, or do you give it to this poor person who's starving, which is the Compassionate thing to do. They're both good answers. But they're both challenging answers. You've got to think about both of them. And that's basically the driving force behind this game. Ultima IV was—and remains—notable for its departure from the standard RPG trope of defeating some great and eldritch evil. Players, instead, were challenged to master eight virtues and become a sort of spiritual leader. Rather than only seeking to level up combat statistics, players had to learn to embody the game's versions of honesty, compassion, valor, honor, justice, sacrifice, spirituality, and humility. Ultima IV was first released in 1985 and has not necessarily aged gracefully. While an iconic classic with a rightful position in gaming history, it's not exactly accessible by modern standards (though it is available, legally, for free). "It's like when someone tells you to read Chaucer," Barnett commented. "I know it's supposed to be brilliant, but it's incomprehensible!" Shifting from literature to film, he compared it to Battleship Potemkin, a 1925 Soviet film that pioneered many techniques that nearly all movies have used since. "I mean, I'm aware that Battleship Potemkin defined modern cinema, but it's not a great view. You watch it and go, 'it's black and white and a bit crap, I'd rather watch something else.' And that's basically the problem we've been faced with, is how to reimagine and reboot a classic and make it so that there's a new generation that can have an Ultima." "Every generation deserves an Ultima," Barnett declared grandly, "And we're giving this generation the best BioWare Ultima that we can." In this case, that means a top-down isometric view, with hand-painted backgrounds and 3D characters. According to Barnett, "It plays fast, it's clicky, but the combat's fluid and fun rather than tactical and mind-numbing. The character progression is soft with a smooth up ramp... You're going to get in conversation trees which are much more like you would get in Dragon Age." Of course, Ultima IV was also a single-player RPG. In the press release, EA confirmed that the iPad and PC versions of Ultima Forever will fully support cross-platform play so that it doesn't matter which version your friends are on. But does that mean you will have to play with friends at all times? "You can do the entire thing on your own if you want. If you're mildly anti-social," Barnett answered, though clearly that's not the way it's really meant to be played. "It's multiplayer as in you log in, you go to a server world, you play in there. There's not a lot of people in it, it's actually quite small, and it's about going in with your friends, and finding your friends using the friend finder, when you're traveling around the world there's up to 500 people in the world, but it's usually you when you go down to adventure it's you and up to four people adventuring and having a jolly good time." The multiplayer aspect makes the specter of the dreaded "social game" loom, but Barnett and BioWare are clearly aware of the troubles many iPad and free-to-play games face. "Can we bring BioWare stories to casual space, and can we avoid all the pitfalls that are in the casual space? You know what those pitfalls are," he said. "The games are kind of sucky and they kind of demand you give them money every two seconds and they're not very good. So our plan has been: not to design a game like that." So if Ultima Forever is trying to avoid the known problems that casual and tablet games routinely face, and yet still be a free-to-play game, how does EA plan to make their money? "It's not 'energy,' it's not like a Facebook game," Barnett confirmed. "The entire game can be completed for free, although it would take you a long time. You can play it and play it and play it and play it, and enjoy it and enjoy it and enjoy it and enjoy it, and ultimately what will happen is you'll love it so much you'll go, 'you know what? I'm going to give you guys some cash.'" 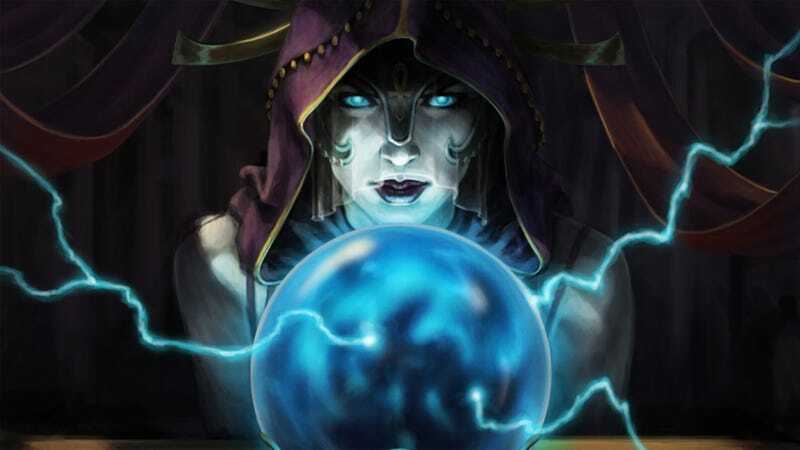 BioWare Mythic and EA are banking on the time vs money trade-off. Some players have lots of time and little money; for other players, it's the reverse. The latter, ideally, will translate their impatience into microtransaction purchases, a kind of shortcut Barnett himself often uses in tablet gaming: "I could do the quest to kill the giant and go and kill the dragon and kill the necromancer to get the rights to go and have my boat made... or I could give them a buck and just have the boat. And I want a boat, because I want to go and sail around the oceans. I don't want to wait. I want a boat NOW." So speaking of impatience, when does the world get to look at Ultima Forever and decide if it's a worthy successor to the franchise? EA hints only "later this year." Barnett declined to elaborate, joking, "PR will chop my hands off if I say anything." He added, "I can tell you that we've got it in alpha, it works, it's lovely, it's in polish mode. But I can also tell you the powers that are more powerful than me are deciding when we roll out our beta and our final push." He did, however, allude that the game would launch "sooner than you think." Players who want a chance to sign up for the eventual closed beta can visit the game's website.